Apple’s iPhone 6 has got to perhaps one of the most worst guarded devices in company history. We’ve seen almost everything related to the flagship device in form of leaks. These cover the individual components of the Apple device as well as it’s retail box pictures and alleged images depicting the real device. To join the already expansive list of alleged iPhone 6 components today are images depicting the loudspeaker components of the flagship device. 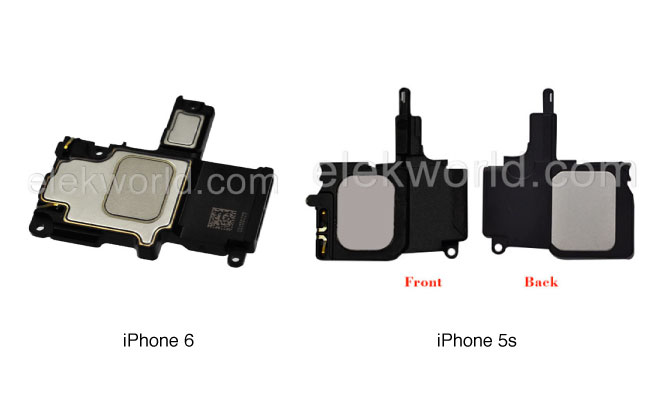 iPhone 6 Loud Speaker Assembly Components Allegedly Shown In Image. The image above, received courtesy of Appleinsider, shows the speaker component to be used on the upcoming iPhone 6. Set besides the components in the present iPhone 5S, the pictures depicts several differences. It shows several redesigns for the speaker on the iPhone 6. These include a larger size which might be an indication that Apple will introduce more powerful audio capabilities on it’s upcoming flagship device. 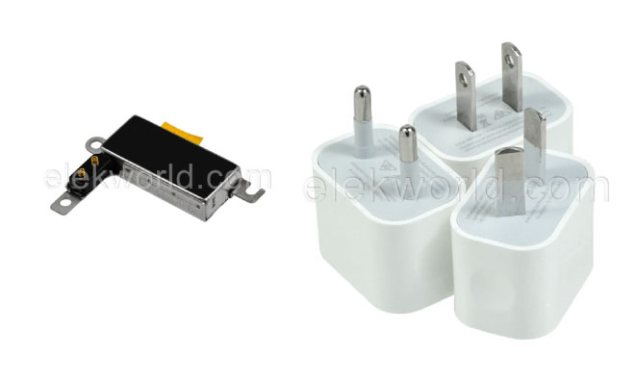 The parts being offered for sale by Chinese retailer elekworld also include the vibration motor for the iPhone 6 as well as a European variant of it’s power adapter. With Apple having it’s manufacturing facilities overseas, it isn’t that easy for Cupertino to gain control over information related to it’s devices. This year’s iPhone 6 has seen almost everything about it leaked in one form or the other. These include displays, home cables, touch ID sensors, logic boards, batteries in a large list. All this mystery will be over soon though as the iPhone 6 is expected to be launched on September 9th this year featuring several upgrades such as an increased screen size and a better processor.